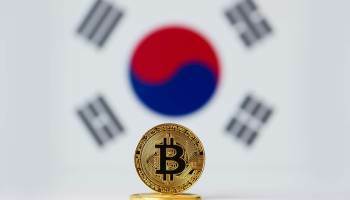 It appears that the rush to digitize currencies is accelerating at breakneck speed as a new announcement on May 2 from the central bank of Korea shows that they the nation is looking seriously into creating their own sovereign cryptocurrency. Should Korea engage in this move they would join Venezuela, Iran, Russia, and in some measure China in using Blockchain technology to transition their currencies into a digitized format. In a statement on Wednesday, the Bank of Korea confirmed that it has started studying cryptocurrencies and is set to announce its recommendations regarding them, including a plan to possibly issue a CBDC, within the first half of the year, the Korea Times reported. What this means for private or decentralized cryptocurrency use within these countries is still up in the air, as each individual nation is currently imposing their own separate rules and regulations in dealing with cryptos like Bitcoin, Ethereum, etc... And of course there is always the possibility that sovereign cryptocurrencies could be used solely for international commerce and banking while the private cryptos would be allowed to function for people in their domestic economies.